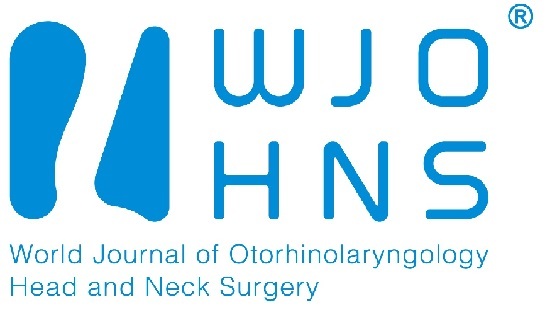 The World Journal of Otorhinolaryngology – Head & Neck Surgery (WJOHNS) is an international peer-reviewed journal which encompasses advances in clinical practice, as well as contributions in basic and translational research pertaining to the field of otorhinolaryngology – head and neck surgery. Submissions related to all aspects of the field are highly encouraged including those in head and neck surgery and oncology, facial plastic and reconstructive surgery, laryngology, neurolaryngology, rhinology, skull base surgery, otology, neurotology, sleep medicine and surgery, as well as pediatric and general otolaryngology. Original papers exploring related fields such as allergy and immunology, maxillofacial rehabilitation, audiology, auditory and vestibular neuroscience, vestibular therapy, speech and swallowing disorders, and craniofacial pathology are encouraged. The Journal incorporates a “Priority Publication” section, intended to fast track submissions that highlight advances in the subspecialties outlined above. Selected submissions will be available online within four weeks and printed shortly thereafter. The Journal also includes an “Expert Opinion” section. Experts affiliated with the Journal will review and comment on complicated or rare cases submitted by readers. WJOHNS is intended to be a key resource for clinicians, allied health specialists, and researchers in the fields of otorhinolaryngology, oral and maxillofacial surgery, plastic surgery, neurosurgery and oncology. To this end, the editorial board consists of renowned specialists from around the world with a broad range of expertise. The Journal is published four times a year by KeAi and includes original clinical manuscripts (retrospective case series, prospective studies, systematic reviews, and meta-analyses), and novel basic science and translational research studies. All submissions undergo rigorous blinded peer review and, if published, benefit from distribution to an international readership. Major functions of the CMA include: organizing domestic and international medical exchange activities; discovering, recommending and cultivating medical talents; editing and publishing more than 100 medical and popular science journals and over 100 audio-visual products; carrying out continuing medical education projects and specialists training programs; implementlng medical projects evaluations and reviews, and assessment of decisions concerning science and technology projects; selecting and presenting awards for outstanding achievements in medical science and technology; promoting transformation and practical application of medical research results; disseminating medical and health knowledge for the general public; organizing technical appraisement on medical malpractice and AEFI (Adverse Events Following Immunization); undertaking the functions and missions entrusted by the government, and relaying suggestions and requests from the medical professionals to the government. Recently published articles from World Journal of Otorhinolaryngology - Head and Neck Surgery. World Journal of Otorhinolaryngology – Head & Neck Surgery Inaugural Issue Released!